A sunny summer day is a stellar excuse to pack a lunch and enjoy the great outdoors, and you'll always be prepared with this picnic blanket on-the-go! In this 90 minute workshop, you'll make your own travel picnic blanket - the perfect accessory to a picturesque meal al fresco. The $45 cost includes all the materials needed to sew your picnic blanket, light refreshments, recipes, and picnic tips & tricks. Guests will leave with one travel picnic blanket and a wealth of knowledge on how to picnic like a pro. *Please note: This workshop does not include painting/customizing your picnic blanket. 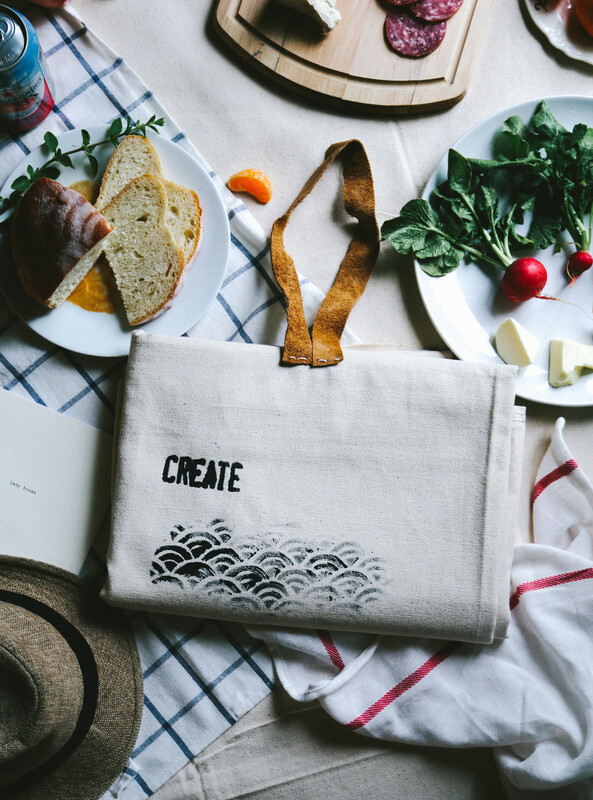 I recommend taking one of Kathyrn Zaremba's awesome block printing workshops to learn how!